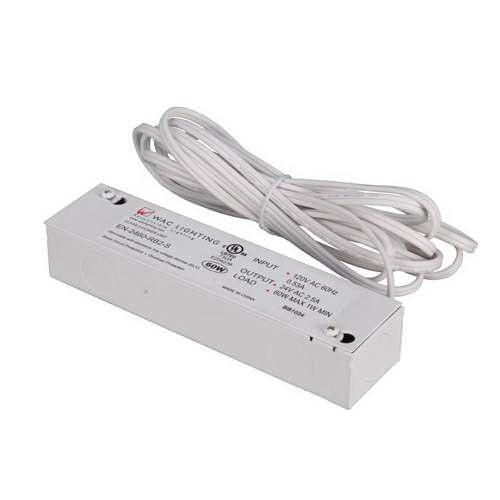 WAC Lighting Line™ Remote Class 2 transformer in white color, has voltage rating of 120/24-Volt AC/DC and power rating of 60-Watts. Transformer has plastic construction. It measures 6-1/2-Inch x 1-5/8-Inch x 1-1/4-Inch. It is suitable for LINE™ and LINE™ 2 luminaires. It includes 6-ft cord and five SL-WC-1 plastic wire clips. Transformer is UL listed.